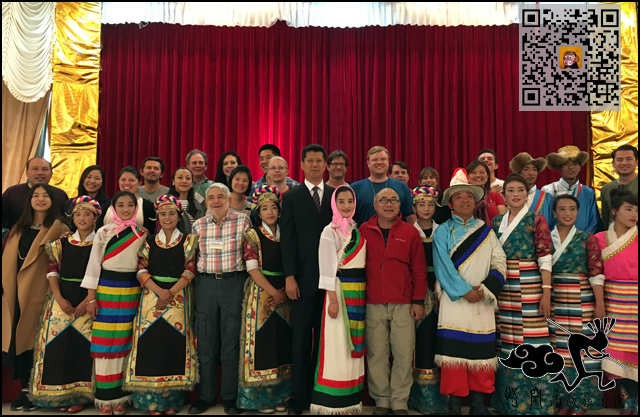 DR.G team is our Tibet century international travel service every year to receive the team, from the beginning of last century, 90s, Dr. G every year to lead his students from the United States to China travel. In the travel process, learn some Chinese culture, from Shandong to Gansu to learn the doctrine of Confucius and Mencius, learn to appreciate the Dunhuang murals, Tibet Tibetan culture. And I feel very honored to be the designated host of Dr. G's team. 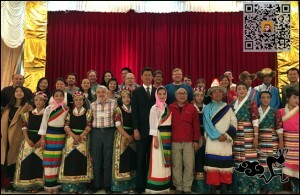 This is Dr. G's team of the Tibetan welcome dinner. For Tibetan dance, unlike other local dance, from the northern grasslands of the high pitched singing, Tibetan mask dance, to the stomach and Ali area Guozhuang dance. 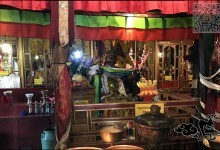 With the characteristics of the ceiling, with more ethnic Tibetan dance. The Tibetan dance, must be accompanied by dinner and Tibetan highland barley wine, butter tea, sweet tea, dance to enjoy, members have left position to participate in the performance. Members and travel agencies and hotel leaders took a group photo.